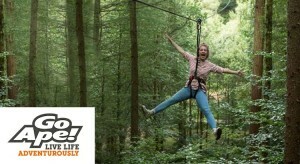 Go Ape offers a great day out for the whole family. If you like heights and tree-top adventures plus special booking deals and discounts then Go Ape will definitely be your perfect great value day out. Go Ape is the UK’s number one forest adventure. Their family days out are all about living life a little more adventurously, having fun with friends and family and getting in touch with your inner Tarzan! We love to follow GoApe and also to provide you with the best adventure discounts and offers. There are 28 Go Ape adventures around the country, all set in some of Britain’s most spectacular forests. Like all the best things in life, Go Ape is even better shared – bring your family tribe for a day out they’ll never forget. The original Go Ape experience is a 2 – 3 hour Tree Top Adventure, where you will fly down zip-wires, jump off a Tarzan Swing and tackle some high level crossings whilst taking in the breathtaking scenery. No two of their Tree-Top Adventures are the same, and some locations also offer other outdoor activities like the brilliant Tree Top Junior courses for kids and the Forest Segway experience safaris. 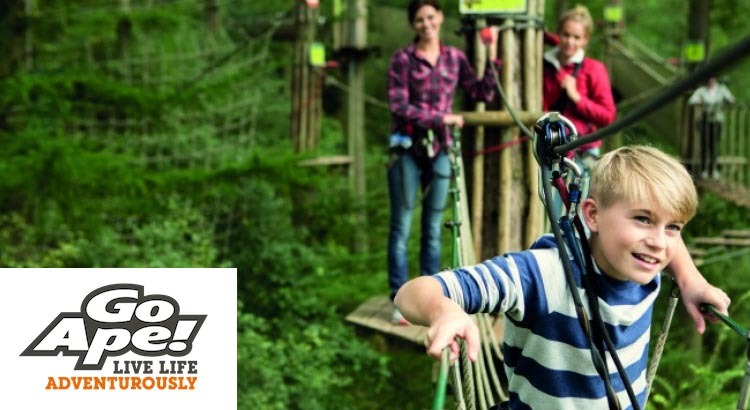 The Grizedale Forest Go Ape is home to our very first Zip Trekking Adventure. 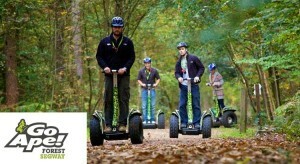 The popular Segway experience can now be found at ten of the Go Ape adventures UK wide! Bringing you down from the trees and onto solid ground. You can go off exploring the forest on the latest in green technology – a self-balancing electric segway. Tree Top Junior is the latest adventure to join the Go Ape family tree. Release your little monkeys onto a Go Ape course designed for them. No one loves adventure more than kids! Zip Trekking Adventure is a brand NEW experience. The course is a network of seven tandem zip lines that traverse the sky-scraping Douglas Firs at Grizedale Forest, providing customers with an exhilarating experience of flying way above the forest floor, and seeing the area in a completely new way. GoApe close their forest doors during December and January.